Following the rollout of Apple's latest iOS 9.3.1 point release, the company on Tuesday stopped signing code for iOS 9.2.1, meaning users can no longer downgrade to the older operating system version. Apple routinely ceases code signing on deemed obsolete iterations of iOS in order to ensure a consistent user experience and to protect consumers against bugs or security vulnerabilities fixed with the most recent software. When it pushed out iOS 9.3.1 last week, Apple patched a web link bug that in some cases caused apps to freeze or crash. Prior to the release it was discovered that a bloated associations file in popular travel app Booking.com was to blame for a host of runtime failures affecting Safari, Mail and Messages, along with third-party web browsers. The data overflow was severe enough to necessitate a new version of iOS, as simply uninstalling the offending app was not a viable solution. Since its launch last month, iOS 9.3 has seen its fair share of problems, including an Activation Lock bug that rendered older hardware unusable. 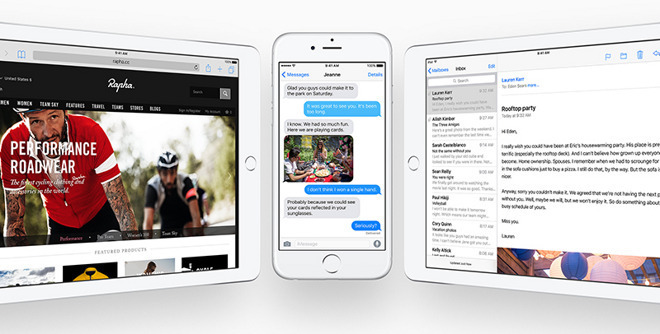 Apple pulled the update for certain iOS devices before issuing a fix last week. More recently, iPhone 6s and 6s Plus owners were affected by an obscure security exploit that allowed nefarious users access to contact and photo data without a passcode. As the bug involved a combination of Siri, 3D Touch and certain system settings, its impact on the greater iPhone install base was likely minimal. Apple fixed the Siri exploit earlier today.